Ford has made a few adjustments to its OEM position statements — including providing clearer language opposing certain practices — and collected them on the new FordCrashParts.com website. Though the wording and overall messages on the new Feb. 15 position statements, also available on OEM1Stop.com, are often identical to the prior versions of the statements (which can be seen here via a Dec. 23, 2017, Internet Archive snapshot), collision repairers might want to still take the move as an opportunity to review the documents. Ford’s current structural repair position statement puts greater emphasis on how risky deviating from Ford OEM repair procedures could be. 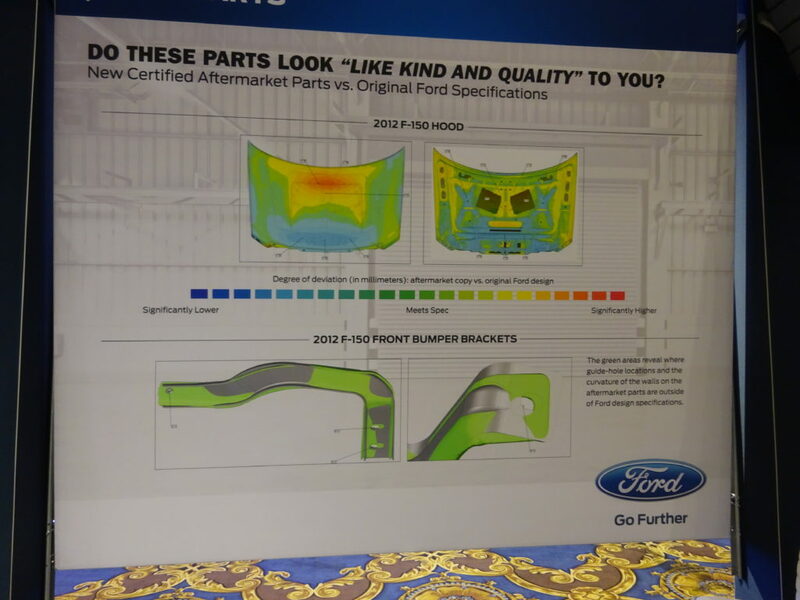 A comparison to the 2017 version reveals that the OEM uses stronger wording, removing a reference that Ford merely “recommends” you follow its OEM procedures and use its parts and adding a prediction that disregarding structural procedures “will” compromise the vehicle. Ford cut down its earlier clipping position statement, making its message even more clear in the new one: Don’t do it. 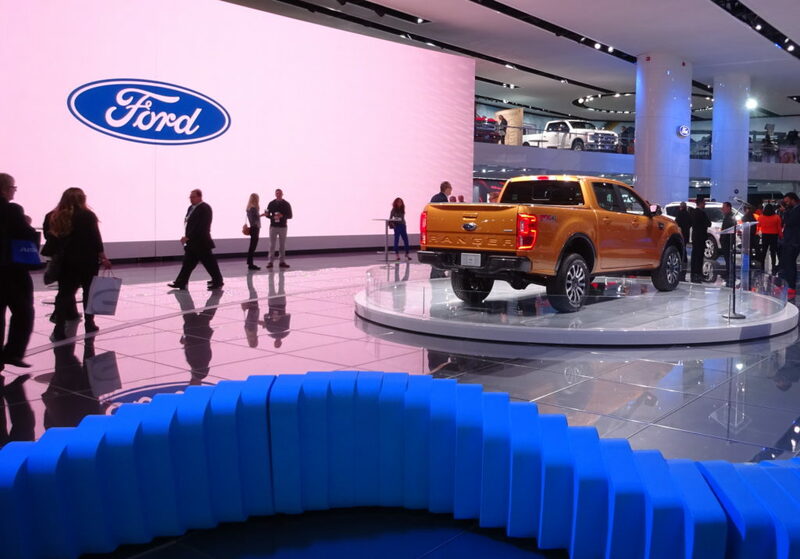 Ford Motor Company does not approve the use of “clips” to repair collision damage to vehicles. The older version of the position statement said no clipping, but it might have unintentionally muddied the message with a passage recommending that repairers planning to clip in spite of Ford’s instructions obtain the vehicle owner’s permission and see if the state requires a clipped car receive a “rebuilt” or “salvage” title. The new edition leaves no such room for doubt about what Ford wants, deleting that paragraph. Like the clipping position statement, Ford’s new wheel position deletes any suggestion that reconditioned wheels were OK and retains its ban on such parts and any wheel refinishing beyond a very specific kind. An earlier version seemed to unintentionally undermine its own message by offering shops defying the ban guidance for selecting an reconditioned or refinished wheel supplier. The new version deletes that passage and ambiguity. Ford Motor Company does not approve the remanufacturing/refinishing of steel or aluminum wheels when it involves re-machining, re-plating, welding, bending, straightening, reforming or adding new material other than cosmetic coatings, as this can compromise the structural integrity of the wheel and safety of the vehicle. A reconditioned wheel, or any wheel not approved by Ford Motor Company, may cause unsafe vehicle operation and performance, including loss of control which may result in injuries to the vehicle occupants or other drivers. Ford has changed its salvage airbag position statement to indicate the ban applies to all supplemental restraint systems. “Ford Motor Company does not approve the repair of our vehicles using salvage supplemental restraint systems or individual components of those systems,” it states. Ford combined its salvage, aftermarket and reconditioned parts position statements and makes it clear it doesn’t want any of them used. The earlier versions said as much, but the clearest language prohibiting the parts was in an endnote and might have been missed by some shops. “Ford Motor Company does not approve the use of recycled, salvaged, aftermarket or reconditioned parts,” it states in the second sentence. Oh, and if you’re wondering where the Ford scanning position statement, there is none. Ford is among the OEMs that wants you to scan vehicles and presumes you’re smart enough to have realized that from reading its OEM repair procedures and thinking logically. If you haven’t been checking those instructions, that’s your fault, not Ford’s. So while you should absolutely refer to Ford’s position statements, don’t assume the absence of one on a particular topic means Ford has no opinion on the matter. You’ve got to check the OEM repair procedures as well — which you should be doing anyway.